The biggest terrorist explosion in Afghanistan in years took place in the capital city Kabul during the morning rush hour on Wednesday, killing 90 people and injuring almost 400. The explosion was caused by a powerful truck bomb in a large truck designed to carry sewage. Over 50 vehicles were either destroyed or damaged in the attack. Buildings hundreds of meters away from the explosion were damaged or had windows blown out. The area that was attacked is supposed to be the safest in Kabul, with foreign embassies and government offices protected by dozens of 10ft-high blast walls guarded by police and national security forces. Every vehicle entering the area is supposed to be checked for explosives, leading some analysts to believe that the perpetrators had the cooperation of someone in the security forces. [Whoever] carried out this attack and for what purpose, that will become clear at a later stage. This statement from the Taliban is laughable. The Taliban regularly attacks innocent civilians, including women and children, and they particularly target ethnic Hazaras and Shia Muslims in general. In fact, the vast major of people killed by the Taliban are innocent civilians. However, it is bad publicity for the Taliban to kill innocent civilians, so they’re reluctant to take credit for it for PR reasons. The so-called Islamic State (IS or ISIS or ISIL or Daesh) did claim credit for the attack, but ISIS has developed a public relations gimmick of taking credit for any terror attack, whether they’ve been involved or not. 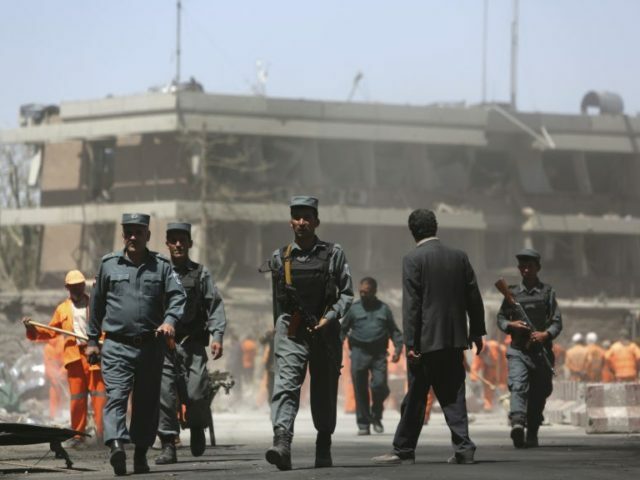 The Afghan intelligence agency NDS blamed the Haqqani network for the attack. The Haqqani Network is linked to the Taliban, and is widely believed to be funded and supported by Pakistan security services, Inter-Services Intelligence (ISI). Afghan security forces control only about 57 percent of the country’s territory. 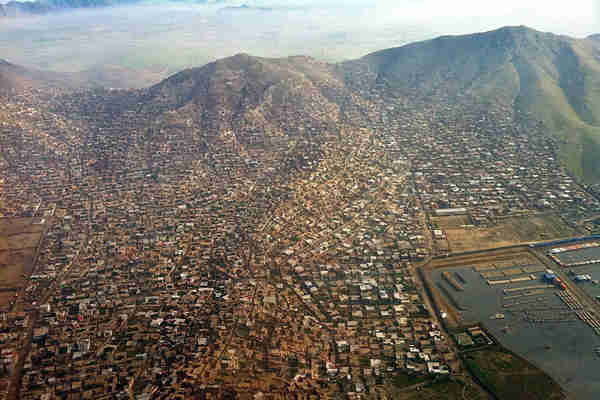 Around 2.5 million people live in areas controlled by the Taliban and nine million more live in contested areas. According to analysts, the Taliban is now stronger than at any point since the 2001 Afghan war. U.S. General John Nicholson described the current military situation in Afghanistan against the Taliban as a “stalemate,” and he has requested several thousand additional US troops to enhance the 8,400 American and 5,000 coalition forces already present. From the point of view of Generational Dynamics, the security situation in Afghanistan will only get worse. As I’ve explained many times, Afghanistan’s last generational crisis war was the extremely bloody civil war of 1991-96 was fought between the Pashtuns in southern Afghanistan versus the Northern Alliance of Tajiks, Hazaras, and Uzbeks in northern Afghanistan. The Taliban are from the Pashtun ethnic group, which extends into Pakistan, and so the Taliban Pashtuns in Pakistan cooperate with the Taliban Pashtuns in Afghanistan to conduct terror attacks. When America attacked Afghanistan in 2001, the Afghan Taliban collapsed quickly, because Afghanistan was in a generational Recovery era, with the traumatized survivors of the bloody 1991-96 civil war still recovering, with little will to fight. However, since the 2001 war, younger generations of Pashtuns have come of age, and they’re more willing to conduct attacks against the government, and against their parents’ former enemies in the Northern Alliance.